of investigative tenacity for over 35 years. intuition, and outside-the-box style of investigative tenacity for over 35 years. Supervising Senior Medical Conduct Investigator Office of Professional Conduct. Vincent Parco P.I. Investigative Group is the private detective agency that delivers results. Our founder has been building a reputation for excellence for over three decades and counting, and people in the know have taken notice. He has been called upon to provide expert insight by all the major television networks, and he has appeared on top-rated shows like Oprah and 60 Minutes. In addition to the office that we maintain in Manhattan, we also serve people in and around Broward County down in Florida. So if you need a private detective in Fort Lauderdale, West Palm Beach, or another nearby city, we are always standing by to help. One area of expertise for our agency is matrimonial investigations. If you are engaged, but you do not have first-hand information about your fiancé’s past, you need some answers before you take the plunge. Under these circumstances, we can conduct a premarital investigation to provide the appropriate insight. We can also be called upon if you are married and you have suspicions about the fidelity of your spouse. Our private investigators have law enforcement backgrounds, and we use state-of-the-art surveillance investigation equipment and finely honed techniques to find out the truth one way or another. 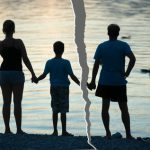 Plus, if you are having a custody dispute with your estranged spouse, we can conduct a child custody surveillance investigation to bolster your case. 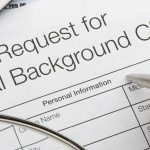 If you hire people in Manhattan, Queens, Brooklyn, Fort Lauderdale, or West Palm Beach, employment background checks are a must. Our private investigators use a highly advanced system to search for criminal history, and we access credit reports. In addition to delinquencies and bankruptcies, we also look for garnishments, liens, and foreclosures. Let us cater to your specific needs and create an individualized program that will shield you from unnecessary business mistakes and help you to gain an edge in the marketplace. 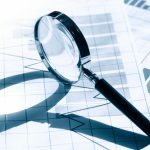 Our agency can be called upon to conduct a wide range of different insurance fraud investigations. If your company is embroiled in a personal injury case, we can initiate a surveillance investigation to determine if the subject’s injury contentions are valid. We can also probe into medical malpractice matters, instances of money laundering and embezzlement, potential arson cases, and burglaries. If you have suspicions, we would be more than glad to apply our vast experience and investigative skills to get down to the truth. Contact Vincent Parco PI Investigative Group! To reach a Manhattan, Brooklyn, or Queens private investigator, give us a call at 212-779-2000. If you would like to speak with a private investigator about a matter in Fort Lauderdale or West Palm Beach, we can be reached at 305-727-2674. Or you may send us a message electronically on our contact page.